DBM Global delivers world class value through a collaborative portfolio of companies that provide better design, efficient construction and asset management solutions. Picerne Real Estate Group, Inc. operates as a diversified real estate management and development company in the United States. It engages in the construction, design, development, management, and acquisition of real estate; and develops and builds apartment buildings, townhome communities, single-family homes, high-end luxury developments, and multifamily communities. The company provides real estate development services, such as project feasibility and research, site selection, regulatory permitting and approvals, financing, design, construction management, property management, and leasing. It also offers construction project management services for multifamily and single-family residential development; residential and commercial property management services; and broker services. The company was founded in 1925 and is based in Warwick, Rhode Island. 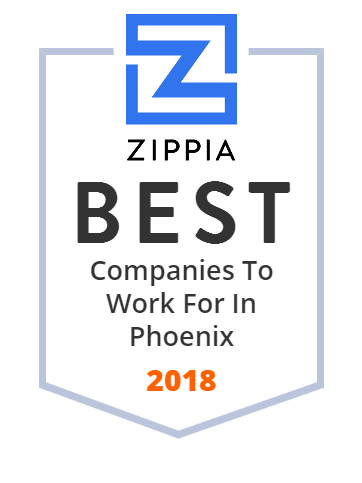 Snell & Wilmer law offices are the West's largest full-service business law firm with attorneys based in Phoenix and Tucson, AZ; Orange County and Los Angeles, CA; Salt Lake City, UT; Denver, CO; and Reno and Las Vegas, NV. Snell & Wilmer traces its origins to 1938 when Mark Wilmer joined Frank L. Snell, Jr., Riney Salmon, and Charles Strouss, who had practiced together since 1934. They handle a wide range of legal matters such as bankruptcy, labor and employment, litigation, real estate, and tax, to name a few. The Arizona Department of Transportation (ADOT) is a multi-modal transportation agency that is responsible for planning, building and operating a complex highway system in addition to building and maintaining bridges and the Grand Canyon Airport. They provide engineering, construction, permitting, procurement and equipment services, to name a few. They have 1,000 - 10,000 employees. Learn how we affect positive change for our clients with multi-dimensional customer contact solutions here. More than a great builder. We are leaders in the real estate and construction sectors, from concept through ribbon-cutting and beyond. Lincoln, Gustafson, & Cercos is a full-service law firm providing representation to clients throughout California, Arizona, and Nevada. Learn More. Cyberitas Technologies is a successful software engineering firm that helps their clients to use technology and enterprise-level, digitally based solutions for them to reach more people. They have been in this industry since 1994. They collaborates with each client to determine the best fit between completely custom applications and pre-developed software packages.